As we begin our journey into ministry in whatever role or calling that we answer, the bible warns us to get ready to be tested. and do not be impetuous in time of adversity. that you may prosper in your last days. in periods of humiliation be patient. and the chosen, in the crucible of humiliation. make your ways straight and hope in him. do not stray lest you fall. has anyone trusted in the Lord and been disappointed? has anyone called upon him and been ignored? forgives sins and saves in time of trouble. to the sinner who walks a double path! and therefore have no shelter! Woe to you that have lost hope! what will you do at the Lord’s visitation? and humble themselves before him. and equal to his name are his works. Jesus’ entrance into ministry was preceded by temptation. The Gospel of Matthew talks about his baptism and immediately follows with an encounter with the devil. He fasted for forty days and forty nights,* and afterwards he was hungry. It’s no coincidence that both the old and new testaments talk about this. I think that many of us prepare for participation in our faith community and hope that it will draw us closer to God which it should. It should be an opportunity to serve, but it also increases our value for the enemy. In my life, the closer I have drawn to the Lord, the greater the temptation and challenges have often been. 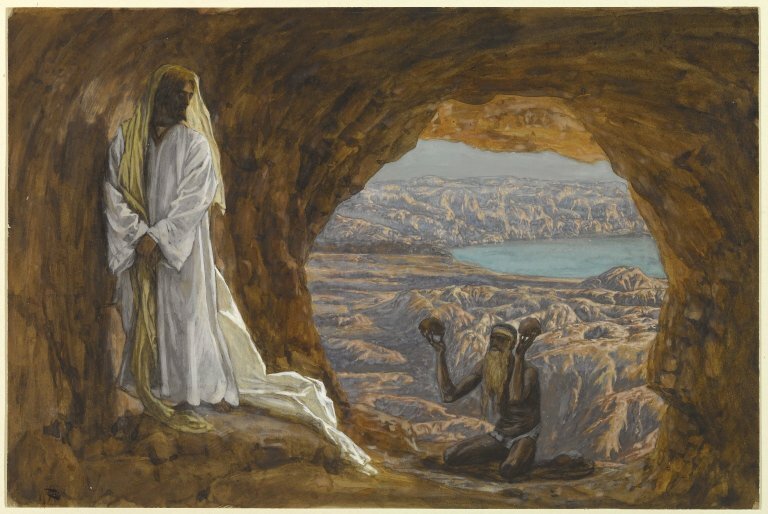 When does the tempter approach Jesus? When he’s hungry. When he’s alone. When he’s the most susceptible to give in. I read these three examples of temptation and think that they might represent the three most common categories in which we are tempted. The first being our body. I don’t believe that when Jesus says, “man doesn’t live by bread alone” that he’s just talking about food. It could be much bigger than that. He could mean all of the sins of our flesh. Of course it could be directly about our diet, but what about our vanity or desire? What about lust? When I hear him talking about bread, I think he’s saying that physical relationships won’t quench the appetite we have for intimacy with our heavenly father. The next challenge is to disregard his life and throw himself from the height of a temple. The enemy even twists scripture around to try to justify the temptation! Think that won’t happen to us? Think again. Jesus’ response is to go back and use scripture against this test by saying that it’s also written not to put God to the test. This is a tricky temptation. We’re supposed to trust God, right? So that means we shouldn’t be afraid or suffer from anxiety of the unknown, but it also means that we respect our lives and not test God or try to make deals with him. Have you ever found yourself saying, “I really want such and such to happen and I know God won’t let me down.” How about, “God, if I make this change in my life then I need you to do this for me.” That’s not how faith works. We aren’t to put Him to the test. This might be the hardest of the three to actually defend. We have to take Jesus’ example and know scripture and be prayerful. We won’t know what direction God has for us if we do all the talking. We must include time in our prayer life for listening. Finally, the last temptation is a request to worship the devil in exchange for worldly riches. Many of us would hear this and say, “Ah I’d never fall into that trap. I love the Lord!” Think again. I’m speaking directly to the worship leaders and conference speakers out there. Just because we are preaching or singing about God doesn’t mean we’re obedient. It doesn’t mean that we aren’t trying to be famous, win a Grammy or have the coolest guitar collection. The temptation is still there, perhaps even greater in ministry, to be great at what we do and to be popular. We must remain humble, obedient, and remember that it’s “Him alone that we shall serve.” I also include distraction in this category. Anything that gets in the way of our relationship with Christ is placing something worldly in place of God. One of my favorite parts of this reading is that it says that after the devil left, angels came to minister to Jesus. 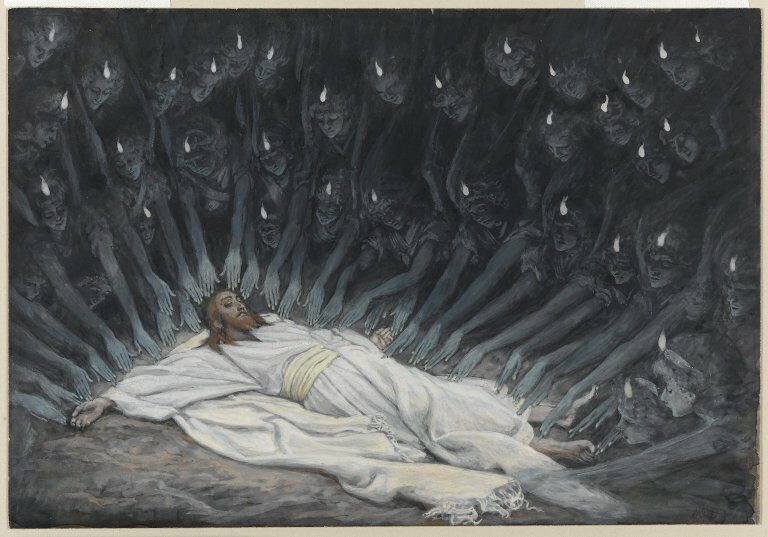 Not even Christ recovered from a duel with the devil without some help. I pray that we all be surrounded by a community of “angels” to support our journey. let us conduct ourselves properly as in the day, not in orgies and drunkenness, not in promiscuity and licentiousness, not in rivalry and jealousy. Can I pray for you? Contact me with an intention. It would be an honor to do so.